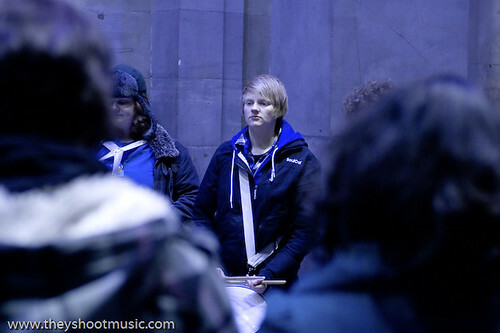 What a grand finale for our Scotland filming trip! 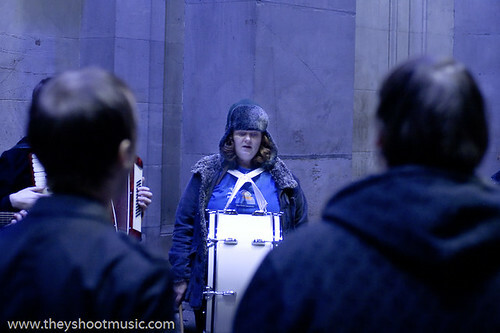 The Second Hand Marching Band gathers at the Gallery of Modern Art in the city centre of Glasgow to blow our minds. 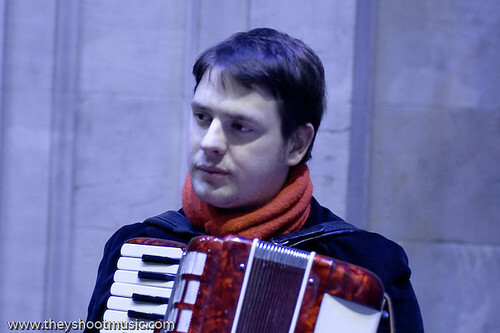 However, it sometimes needs a little hint to discover a local phenomenon like the outstanding 20-piece collective (most of them present at the session), when you are visiting new places. 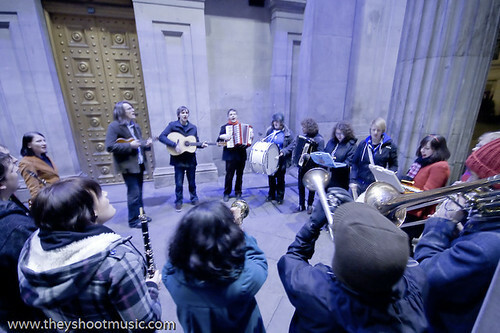 So thanks to Gordon McIntyre from Ballboy we found out about the “ensemble madness” (as written on their homepage) and could meet the nice people behind it on the very last night of our stay in Scotland. 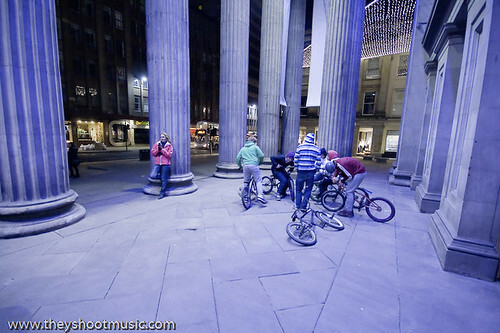 It’s not just the sheer amount of people taking part in this musical project, but also the massive sound that they produce, what makes some young boys stop doing tricks on their bikes and moreover leave a reverberant impression on passers-by. 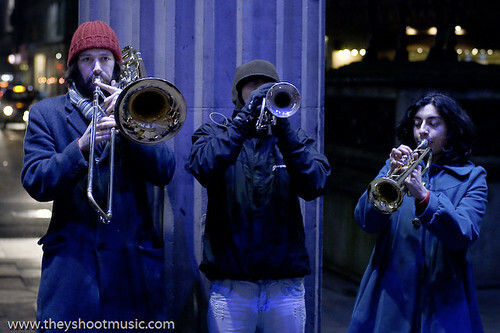 For the furious “A Hurricane, A Thunderstorm”, The Second Hand Marching Band stands circle-wise at the entrance of the museum and easily drown the traffic noise nearby (except the roaring of a motorbike). 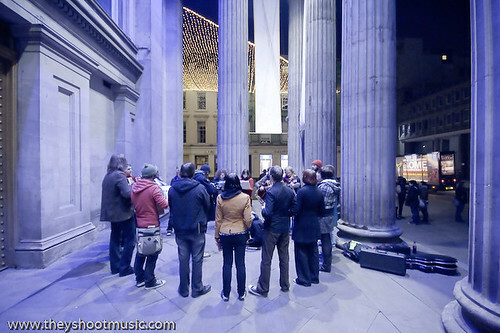 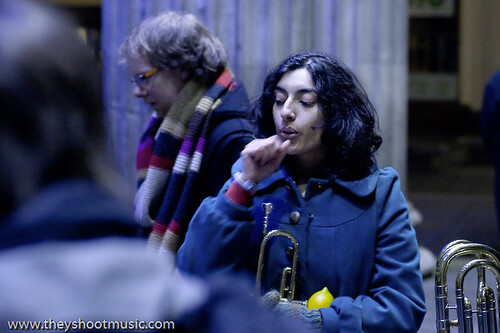 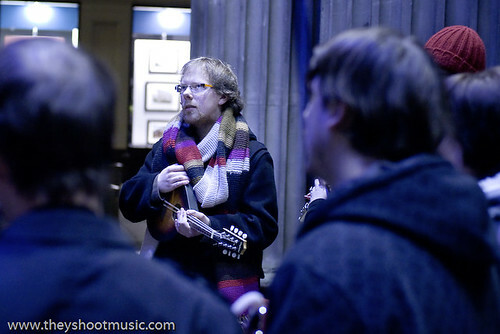 For the captivating “Don’t!”, the musicians prove to be a marching band in its true sense and master to walk around the enlightened Royal Exchange Square while performing.